Say the World about your Dearest Books ! ‘The Tale of Despereaux’ is written by Kate DiCamillo and illustrated by Timothy Basil Ering. The adventure starts with Despereaux Tilling, a small mouse of unusual talents, a Princess who he loves, a servant girl who longs to be the princess, a jailor, and a rat determined to bring them all to ruin. Despereaux was put in mouse prison for coming in contact with a human Princess. Despereaux Tilling followed the music played by Princess Pea’s father into her room where he was reading her a story. Despereaux loved the Princess the moment he saw her. He goes to the Royal Library to find a book on love and so on. But one of the mice finds this out and complains to the mouse council who decides that he should go to prison. There he meets a rat who wanted to rule the kingdom all by himself and he meets Gregory the jailor who has been in prison for ages. 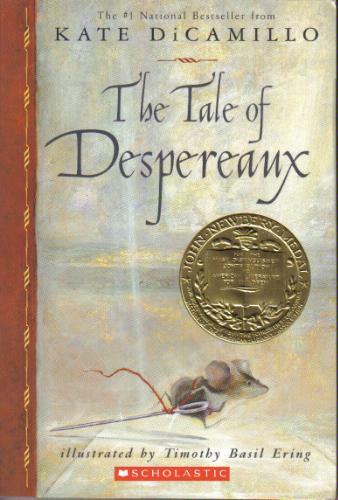 Despereaux tells him about the world above, and in turn the jailor tells him about the Royal family and about the tragedy that happened to the Queen. On hearing this, Despereaux pines for the princess more and more, and he promises to get out and meet her. The rest of the story is about how he gets out and fulfills his wishes. I recommend this book to readers between the ages 8 and 12 as they would enjoy it. A few other books by Kate DiCamillo – Because of Winn – Dixie, The Magician’s Elephant, The Miraculous Journey of, Edward Tulane, The Elephant Rising. 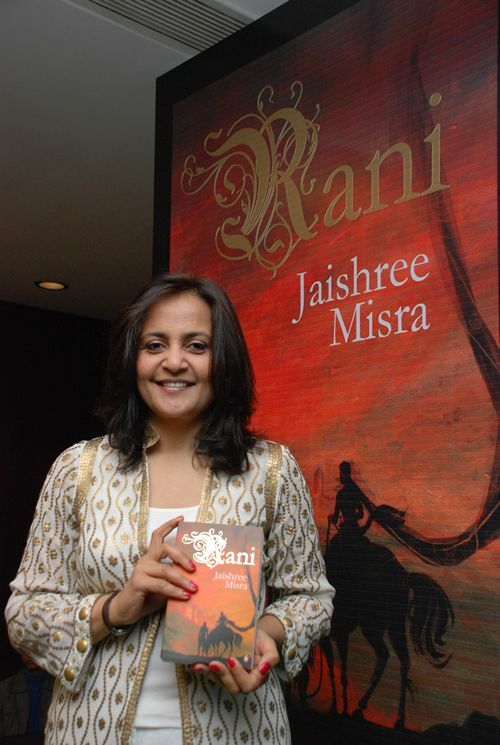 Jaishree Misra, well known author of seven best selling novels, the Ancient Promises, Rani, Afterwads, Secrets and Lies, Secret and sins, Scandalous secret, and Accidents like Love and Marriage, will interact with students of Kendriya Vidyalaya (KV) Pattom, on April 22 at 10.00 am at the ‘Meet the Author’ session, organized in connection with the World Book and Copyright Day 2014 and the Schools’ Golden jubilee Celebration. Ms Misra will also open the 3 Day Golden Jubilee Children’s Book Fair, jointly organized in collaboration with M/s Scholastic India Inc.,. The Book Fair will end on April 24, 2014. The formal inauguration of the activities of Readers’ Club will also be held at the function. Jaishree Misra is an Indian author whose debut novel Ancient Promises was published and sold worldwide by Penguin UK and became a major bestseller in India. Subsequent books include Accidents Like Love and Marriage, Afterwards and The Little Book of Romance. A historical novel based on the life of Rani Lakshmibai of Jhansi was published by Penguin in December 2007 and banned soon after by the Uttar Pradesh state government in India. In 2009, Misra signed a three-book deal with Avon, the commercial fiction imprint of Harper Collins UK. The first of these books, called Secrets and Lies, was published in June 2009 while the next in the series, Secrets and Sins was released in July 2010. Secrets and Lies appeared on the Heatseekers list in Britain’s Bookseller magazine’s best-seller lists in the summer of 2009. The third book, A Scandalous Secret, was released in May 2011, at the Hay-on-Wye festival. Jaishree Misra has an MA in English Literature from Kerala University and two post-graduate diplomas from the University of London, the first in Special Education and the second in Broadcast Journalism. She was awarded a scholarship by the Charles Wallace for India Trust in order to complete her course in Special Education. Misra worked for several years in the Child Care Department of Social Services in Buckinghamshire and, more recently, as a film classifier at the British Board of Film Classification in London, England. She resigned at the end of 2009 after a seven year stint when she went to live in New Delhi, India, where she helped to start up a residential project for adults with learning disabilities. Currently, she lives with her family in Trivandrum, Kerala. Jaishree is a regular on the literary festival circuit, having taken part in the Jaipur Literature Festival, the Daily Telegraph Hay-on-Wye Festival, the The Week Hay Festival in Kerala, the Kovalam Literature Festival, Words on Water in Johannesburg, South Africa and the Odisha literary festival in Bhubaneswar. She has also held events at the Frankfurt Book Fair and the Sharjah International Book Festival and been part of a panel discussion at the London Book Fair. She was invited by the Arts House in Singapore to conduct creative writing workshops for adults and schoolchildren. She recently inaugurated the Keraleeya Samajam Book Fair in Manama, Bahrain, and led the pledge for International Women’s Day at Technopark, Trivandrum. Jaishree Misra is the great-niece of the late Thakazhi Sivasankara Pillai, famous Malayalam writer and Jnanpith awardee. 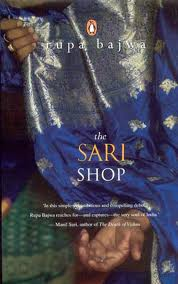 The story revolves around a salesman Ramchand who works for a sari shop. Ramchand’s charactar is similar to that of any common Indian youth who strives hard for a living and is unable to voice many of his feelings.This story that revolves around Amritsar gives a clear picture of the upper and lower class ( economically ) people of this country. Ramchand who had a very pleasant childhood , as the only son of his parents is left on a turmoil when when his parents die in an accident.He is deprived of education and is sent to work at an early age. The chapters where Ramchand goes in search of English books and expresses his urge for education are very inspiringly written by the author.The transformation of a lazy,boring person in Ramchand to a meticulous learner is a lesson to all school –drop outs. The author has addressed many social issues such as child abuse , sexual abuse to women, bribery which takes place in our society. This is a book that any person of any age read. Written in simple English , you can involve in the book as all the characters appear as though in the neighborhood. In this book,the author describes his experience with ‘Kalam Sir’ that he had during his time. He describes the humbleness and great qualities of A.P.J.Abdul Kalam that he recognised while working for him. correct reason behind this has been penned down in the book.He was the man who worshipped and believed in God a lot. He had such a strong belief in n god that,I think, he could communicate with him. For, once, there was a programme in the Rashtrapati Bhawan,that was to be visited by a great mass of people,approximately,2000-3000. That day,the rain started pouring in the morning. The author i.e; the secretary started to panic for how the programme would be held. He talked to Kalam , but he, in response, teasing him, told not to worry. If it is raining out,we can keep the programme inside. P.M.Nair went hysterical and told that the Bhawan could hold only 700-800 people. To this, the reply came from the President in a rather cool and calm way. He smiled and pointed towards the sky through the window and said "I have spoken there. Do not worry" And believe it or not, at 5 o’clock the programme was to be started and the rain had stopped at 4:30 pm!!! And, as if it was not amply surprising to digest,the rain had started after the programme. The story revolves around an international decoding organization named NSA (National Security Agency). Their cryptophers prided the organization not only because the NSA was the most secretive and intelligent organization in the world, but also for the $2million TRANSLTR (the best decoding machine) that they possessed. In the final years of the World War II, when USA dropped the atom bomb in the cities of Hiroshima and Nagasaki, a boy named Tankado mysteriously survives the war with three fingers in each hand and a layer of skin highly exposed to radiation. He later overcomes all his disabilities and proves his talent in mathematical reasoning and decoding. IN no time he joins the NSA and designed the model of the TRANSLTR along with commander Strathmore. After building the TRANSLTR, commander Strathmore lied to the world that the TRANSLTR was a complete failure that the NSA were devising plans to make it work, while in reality the TRANSLTR was intercepting coded E – mails from terrorists and drug lords, and warned detective agencies like the CIA. But Tankado was against hiding the existence of the TRANSLTR and so he was fired. IN the hope of taking revenge he warned the NSA that he would one day build a coding machine that will confuse even the TRANSLTR. No one paid any heed to him because they knew that according to the Bergofsky principle every code is breakable. What they didn’t know was that one day they would have to take it all back. Coming to the present, Susan Fletcher wakes up one morning with a call from Strathmore asking her to come over to the NSA in the light of an emergency situation. Strathmore also tells her that he has sent David to Spain to get the belongings of the late Tankado. Later she finds out that Tankado succeeded in developing not an unbreakable code as they initially suspected but a super powerful worm that was supposed to infiltrate the databanks of the country that destroyed Japan in the final years of the deadliest war ever. As Susan Fletcher tries unsuccessfully to deactivate the worm by inserting possible combinations of the kill code, David obtains Tankado’s ring on which is engraved a puzzle that ultimately leads them to the kill code – 3 (the number of fingers on Tankado’s hand). It has a thrilling climax. I really liked this science novel. The ideas expressed are profound and exciting. There are many twists and turns in the story which present humorous thoughts and ideas. It is quite ironical to know that such a secretive agency actually exists. 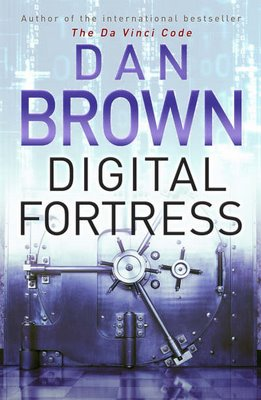 Digital Fortress is closer to truth than any of us dare imagine. This is a book I have read recently. The story basically revolves around the moral conflicts as well as the material losses experienced by the people in Pakistan occupied Kashmir and Line of Control region. The political side of the story is extremely sensitive as one may defy the arguments put forth by the author in many occasions. And its personal side is quite disturbing. 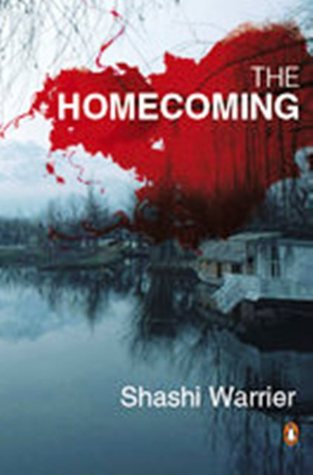 The central character of the story is Javed Sharif, a businessman, based on Bangalore who retires from the family business and decides to settle in his home state Kashmir. As the events unfurl , his homecoming which was expected to be a peaceful one turns out to be a tragic one as his younger son was arrested and alleged to be part of the terrorist activities and elder one betrayed him and left him bankrupted for the rest of his life. The story beautifully presents the feelings of 3 generations in a family of which one was associated with the freedom movement. It also shows how a family bound by the bond of love disintegrates under changing political and social circumstances . The bleak picture of the indifferent attitude of the authorities to the layman is also well presented . Intertwined with the main theme is the vivid description of the scenic beauty of Kashmir. The author often draws comparison between the scenic beauty and the political unrest prevalent there. In the story the drastic turn of events start in a very auspicious occasion. This story does not end in an optimistic note. Although bloodshed is mentioned in a few places the story has very less elements of violence. This book helps us to judge the so called ‘single reality’ from different perspectives as it is said that there could be more than a single reality.It is a book worth reading as it takes us to a different world from which we would not return till we finish reading it. 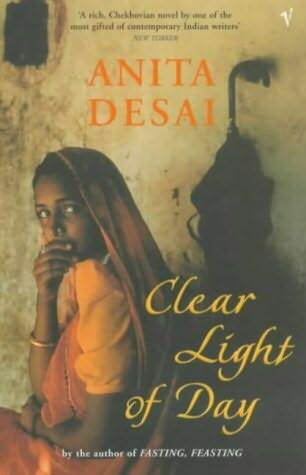 I consider Anita Desai’s “Clear Light of Day” as a poetic novel as it considerably deals with symbols and suggestions. Her use of “the house” imagery is at the center which signifies dust, dullness and decay. As the novel begins, you’ll notice that the house of the Das family does not change except decays. Like Anita Desai’s other novels, the setting is Old Delhi. The interesting thing you’ll notice is she skillfully synthesizes the image of house with the lives of the Das family. The house is associated with sickness, dust, and disorder. And for that reason, the “grey” color is described again and again. So, the house reflects the mentality and sickness of the entire Das family. In other words, nobody in the Das household enjoys life, all merely exists! The sickness and disorder pervade in the mind of the family members. This house is exactly in contrast with the house of Haider Ali and that is why Raja gets attracted towards it. For this house of Das family, the symbol of “web” is described which is apt from every point of view. As I say the house does not change but decays, it is fair to remark that because of such sickness and dusty atmosphere of the house everybody feels “suffocated” and that is why they try to find escape in one thing or another. For that reason, Raja is attracted towards Haider Ali’s house. Tara often goes to Mira Mansi and finally, she succeeds in escaping completely by marrying off Bakul. Baba seeks escape in music and plays his gramophone all the time. Bimla becomes the professor of history. In this way, the house plays a vital role behind the escapist nature of the Das household. Anita Desai beautifully describes the state of the Delhi city. Sometimes, the whole city seems to be dead and the houses are referred to in the novel as the “tombs”. The house of the Das family seems to be deserted and therefore, Bimla does not prevent Baba playing his gramophone loudly because she thinks that the silence of the house is more dreadful. For her, the noise produced by Baba’s gramophone gives peace to her. Even when Mr. Das and his wife were alive, they were just like the outsiders as Mr. Das was known for his entrance. The mother was either engrossed in the cards or confined to the bed. That is why Tara sometimes feels that even the ghost of her father could create the noise of papers and nothing else! The decaying aspect of the house is felt on the Das family and this why the whole family gets scattered and only Bim remains with Baba in the “dead house”. This is how, the house has symbolic significance, which plays a major role in the actions and deeds of the Das household and becomes the central episode in the novel. A Blog for Book Lovers. Published by the Library Media Centre at Kendriya Vidyalaya Pattom, Thiruvananthapuram, Kerala, India. All the reviews are written by students after reading the books borrowed by them from the School Library.